I am an Associate Professor and have been based at the University of Southern Denmark since 2013. My primary interests are explaining and describing demographic patterns across the “tree of life”. However, my research interests are varied and range from climate change, macroevolution and macroecology, to senescence and population dynamics. Before my appointment at the University of Southern Denmark I spent a couple of years working on similar things as a research scientist at the Max Planck Institute for Demographic Research (MPIDR) in Rostock, Germany. In addition, I spent some time working with Dr Jinliang Wang at the Institute of Zoology (London) on population genetics. My first post-doc, based at Imperial College London, was on the LITS project, a database of UK-based long-term individual-based time series data sets. Patrick is a postdoc working on a project titled “Modelling demographic responses to climate change across the animal and plant kingdoms” funded by the Danish Council for Independent Research. This project investigates the impact of weather and climate on the demography of plant and animal populations globally. The project draws on data housed in the COMPADRE and COMADRE Plant and Animal Matrix Databases. Gesa is doing a PhD (co-supervised by Johan Dahlgren) on comparative plant demography in relation to climate change. Her work involves large scale field studies in Sweden and computational work drawing on the COMPADRE Plant Matrix Database . Sophie is doing a PhD (co-supervised by Thomas Bjørneboe Berg) on hedgehog population biology. Her project collects roadkill fatalities of hedgehogs from all over Denmark, and uses them to gain knowledge of various aspects of hedgehogs health and well-being across Denmark.You can read more about her project at www.sdu.dk/pindsvin. Iain is a systems ecologist, broadly interested in answering interesting ecological and evolutionary questions from a whole-system perspective, using mathematical and statistical tools. Mostly, he works with demographic models and population-level data, usually in plants. His academic interests are in feedbacks between demography and evolution, particularly the consequences of environmental disturbance for shaping life histories. His applied interests are in using demographic tools to improve forecasting of population and community dynamics, for conservation and ecosystem services management. 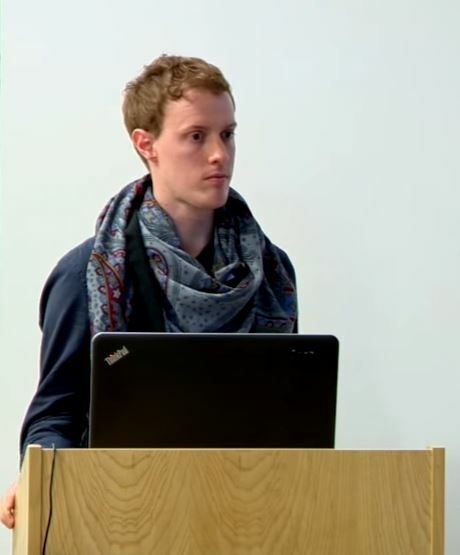 Iain has been funded by a MaxNetAging postdoctoral fellowship and a Marie Sklodowska-Curie Actions (MSCA) fellowship. He accepted a position as a lecturer at Lincoln University in 2018, but remains a part-time employee at SDU until Autumn 2019 He is active on twitter (@iainmstott). You can also find him on Google Scholar. The following people have now left, or have finished their studies. Dr. Danielle Sherman did a PhD (co-supervised by Johan Dahlgren) on plant demography. She focussed on the implications of trade-offs for ageing. Her work involve field work in the Pyrenees, lab work to study growth rings in herbaceous plants and analysis using the COMPADRE Plant Matrix Database to study trade-offs from a large-scale macroevolutionary perspective. Danielle was funded by a MaxNetAging scholarship. Emilie Marie Hansen – Predation behaviour of domestic cats on Funen (2015) (co-supervised with Thomas Bjørneboe Berg, Naturama).